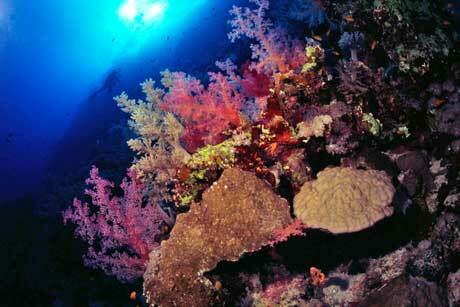 Malaysia is home to one of the most famous dive sites in the World: Sipadan. Just how good is it? Read reports and reviews from divers. Malaysia comprises two regions separated by the South China Seas: Peninsular Malaysia and Malaysian Borneo. Malaysian water temperature varies between 27 oC and 31 oC. From December to March the winds come from the northeast and bad weather occurs on the eastern coast of Peninsula Malaysia. From May to November southwesterlies are common giving warmer, calmer, weather. You can dive around Malaysian Borneo year round, but the best time for diving the west coast is from March to May. The currency is the Ringgit, but US dollars are widely accepted. We regularly update this section. To be alerted when new information is added subscribe to SCUBA News (ISSN 1476-8011). This monthly newsletter also includes diving news from around the world, book reviews and marine life articles. Privacy note: You will not receive any unsolicited mail from us nor will your e-mail address be passed to other parties.